Everything about this boat is adorable! 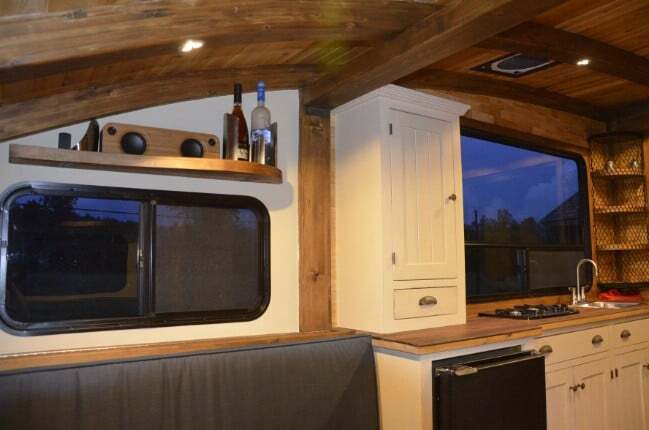 It would be easy to imagine this structure on wheels instead of on the water—it’d look very much like the typical tiny house trailers which we see everywhere these days. 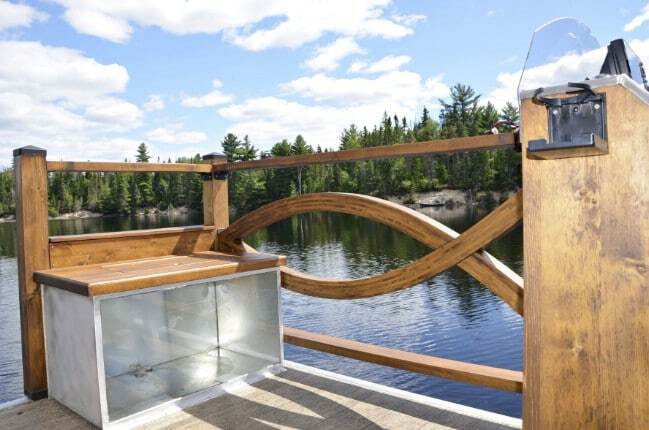 And you’ve gotta love the fish railing and the wide patio (I mean deck)! The fish theme is repeated in other artistic elements throughout the vessel. 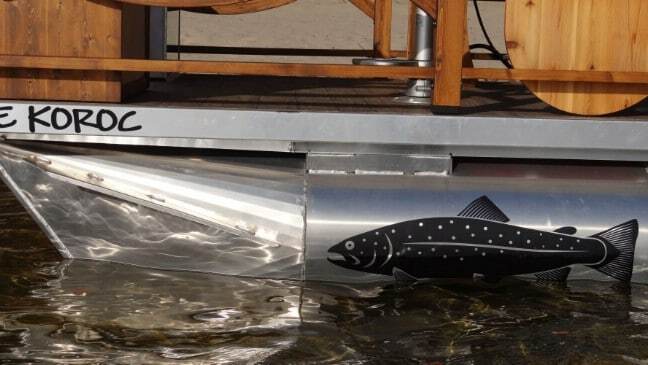 Here is what the fish railing looks like from onboard the vessel. 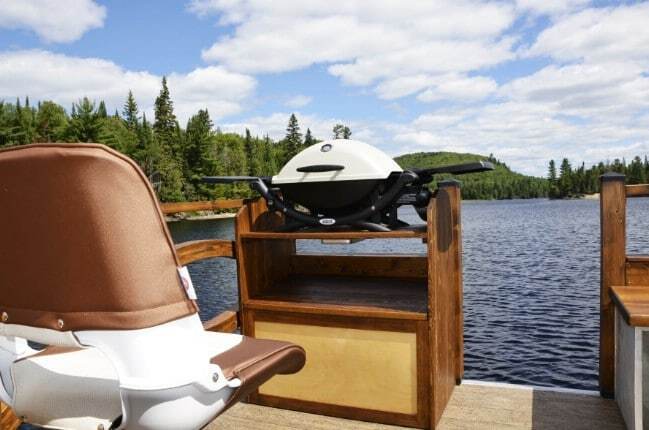 Want to grill out? It’s easy to do on Le Koroc. 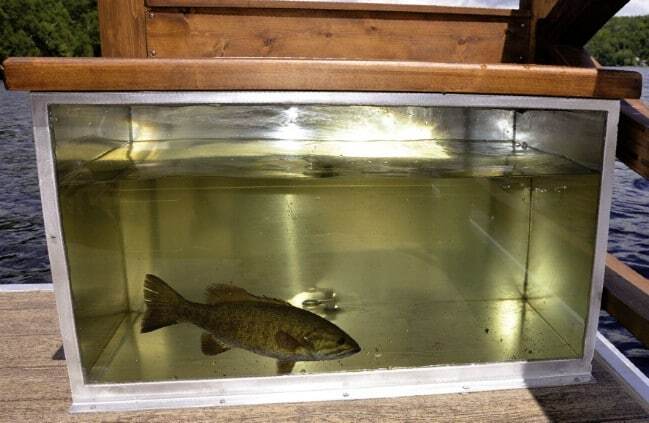 Why not bring a fish with you? I don’t know if this is dinner or a pet. Another fish! 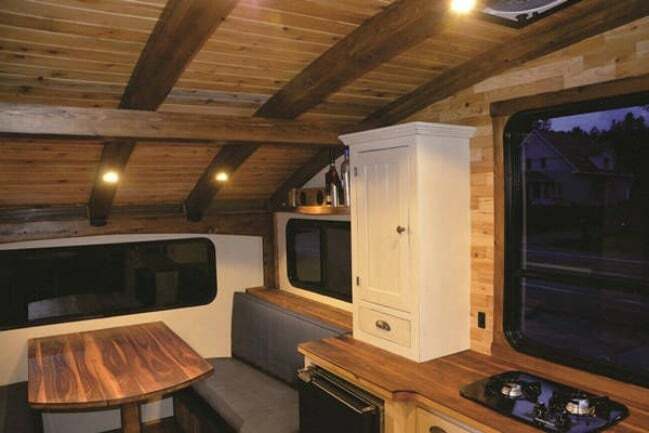 And from this angle, the “tiny house” boat looks even more like a regular land-based tiny house. Peering out that window, yep—I can imagine once again that this is a regular, land-based tiny house. 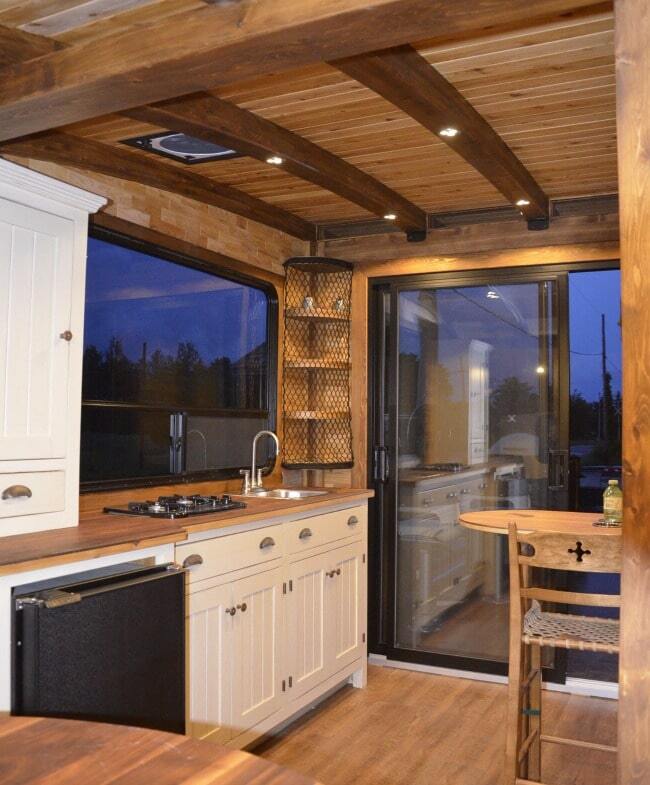 It’s beautiful in here—lots of wood, of course, and a functional galley. Being as this is a seafaring vessel, some unique storage solutions are called for. So while we have some regular kitchen cabinets in here, we can’t just have open shelves. It would be too easy for items to fall right off of them, even when the boat is stationary. For this reason, there is netting over the corner shelves. Then again … there’s no netting over the shelf above the window on the left. It isn’t as important there however; if something falls on the cook, that’s a safety hazard. 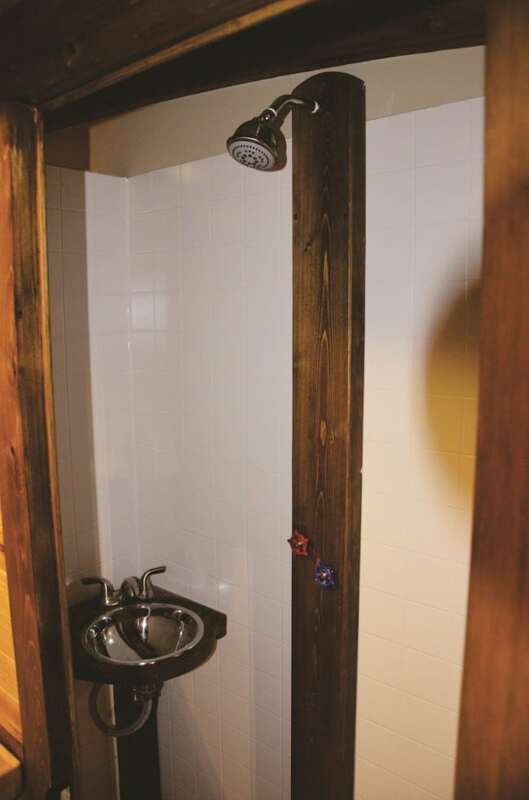 The sink and shower in the bathroom are a simple affair, but in this, they differ not at all from the bathrooms you have likely seen in most tiny houses. 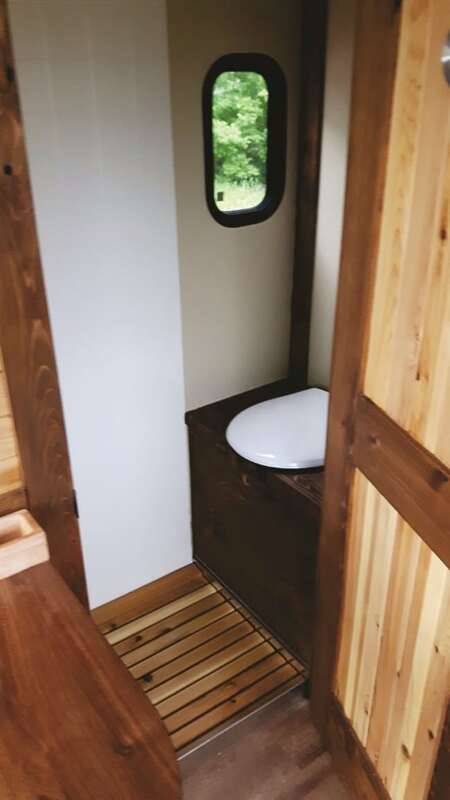 This looks like a typical tiny house toilet as well. 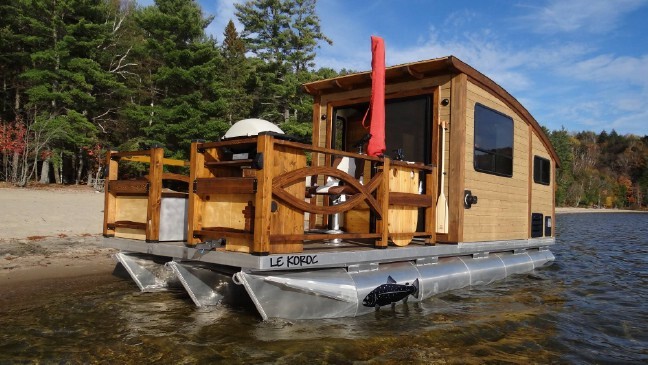 The Le Koroc tiny house boat includes features like a 90 HP outboard motor, a 192-liter gas tank, a 265-watt solar panel, and recessed LED lights. For an additional cost, there are a number of other features which you can add on, like a fishing rod holder, a retractable water hose, a 100 liter Grizzly cooler, a fish tank, a fish cleaning board, and more. To discover more about Le Koroc or order your own tiny house boat, you can stop by Daigno’s official website. 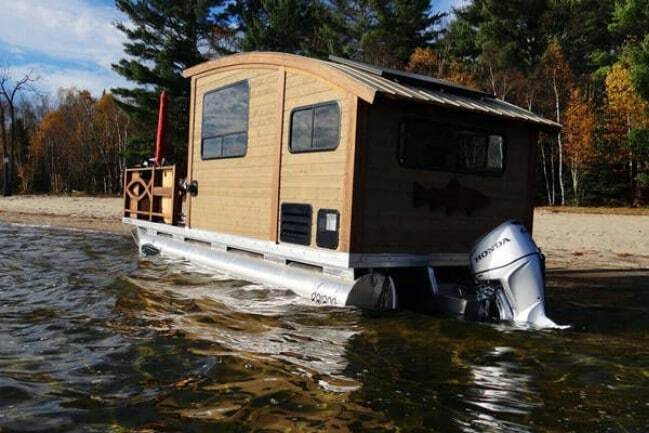 how much for the floating tiny house without the motor?? where is it located?